Your destination into the world of hospitality. After hearing about a study that claimed income — to a certain level — directly affects one’s emotional well-being, the founder of a Seattle-based credit card processing company announced Monday that he will take a large salary cut so he can increase the pay for each employee to at least $70,000 a year. 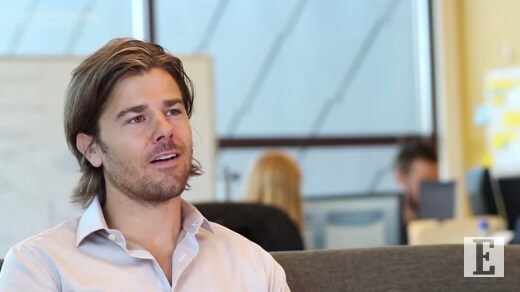 The New York Times reported that Dan Price, the head of Gravity Payments, told his 120-person staff about the plan after talking to friends about the difficulties of making $40,000 a year. Price said he will cut his nearly $1 million salary to $70,000 and use about 80 percent of the business’ anticipated profit to increase the salary of about 70 employees. About 30 employees, including the lowest-paid clerk, will see their salaries increase to the $70,000 threshold. The workers reportedly clapped and cheered when he made the announcement at the Seattle office. I’m sure there are a lot of people who would LOVE to work for Gravity Payments. I mean, really…who wouldn’t want to work for a company that values its employees?! Mad respect for Mr. Dan Price!!!! I applaud you! Build your business success around something you love and cherish…something that you are truly passionate about and that is intrinsically exhilarating.